Zephyhdom is helping to manage this event, and we created the website too! For all our readers out there, you get to take advantage of a 50% discount if you register before 22nd July for this workshop! You will get to enjoy time with your children and bring home a pizza too! 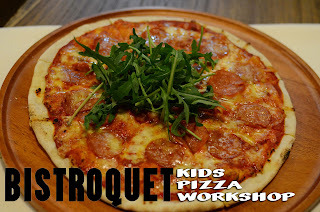 A chef from Bistroquet will conduct the workshop, and you can learn the secrets of pizza making. After making your own pizza, it will be baked in a wood-fired oven for a perfect meal! You get a goody bag and a pizza to bring home. A fun workshop at ARC happening only on 28th and 29th of July 2012. Do hurry and book, as only 20 places per workshop is available.